Pain, tingling, and numbness are all common signs of carpal tunnel syndrome (CTS). If these symptoms are keeping you from work and daily activities, it’s time to rely on the specialists in wrist and hand care at Comprehensive Hand Surgery Center, located in the West End of Richmond, Virginia. Their team includes a board-certified specialist, David Galpern, MD, who can set you on the path to recovery with treatment options that include a splint, cortisone shots, or surgery. If you’re ready to be free of the pain and symptoms of carpal tunnel, call or book a consultation online today. The carpal tunnel is a space in your wrist where the median nerve passes from your forearm into your hand. Carpal tunnel syndrome occurs when the tunnel swells, pinching or compressing your median nerve. Carpal tunnel syndrome causes pain and other uncomfortable symptoms. While there’s not a set cause for carpal tunnel, you may be at greater risk if you make repeated movements with your wrist held in a straight position. Pregnant women, diabetics, and people with certain health conditions are also at greater risk for carpal tunnel. Many people feel symptoms at night, but you also might notice symptoms when you’re going about daily activities where you use your hands, like driving or reading a book. The numbness or tingling is most common in your thumb, index, middle, and ring fingers. When carpal tunnel is severe, you may lose strength and sensations permanently. 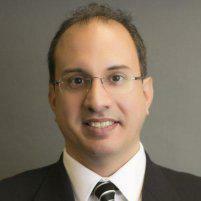 At Comprehensive Hand Surgery Center, Dr. Galpern begins by taking a complete medical history. He’ll ask about any medical conditions, how you’ve been using your hands, and previous injuries. He may order lab tests or an X-ray to check for signs of a fracture or arthritis. You may also need a nerve conduction study. During this test, Dr. Galpern usually attaches small electrode patches to your skin to stimulate your nerves and look for signs of damage. If these treatments don’t help, you might need surgery. Surgery generally involves cutting the ligament that forms the top of the carpal tunnel to relieve pressure on the nerve. If you’re ready for expert care for carpal tunnel, call or book a consultation online today with Dr. Galpern, a board-certified hand surgeon at Comprehensive Hand Surgery Center.